Kinopolis welcomes submissions from independent Polish filmmakers, and it is from these that this programme is comprised. 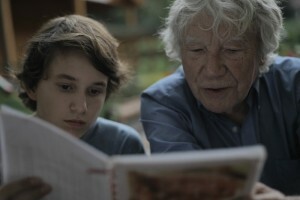 Piotr Stasik’s warm and poignant documentary, A Diary Of A Journey, tells the story of the relationship between 82-year-old Tadeusz Rolke, one of Poland’s greatest photographers, and Michał, his 15-year-old apprentice, as the two travel across the country, spontaneously recording what they see. Elzbieta Benkowska’s short, her first, was selected to compete for the Palme d’Or for Best Short Film at this year’s Cannes Film Festival. In Olena, a thief steals the wallet of a young Ukrainian woman on a train and throws it out of the window.